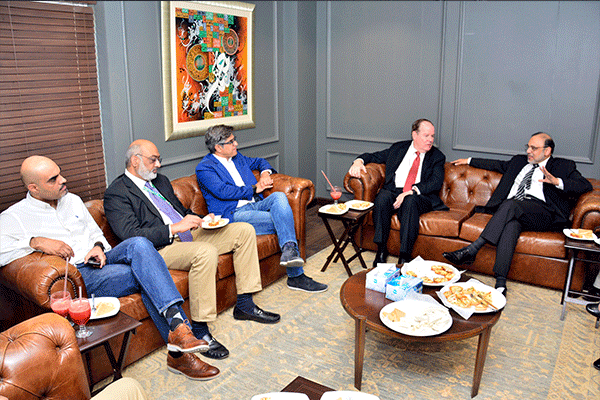 Amir Ibrahim (CEO/President JAZZ) and Faisal Khan (Regional Business Head) visited UMT along with 15-member delegation today. 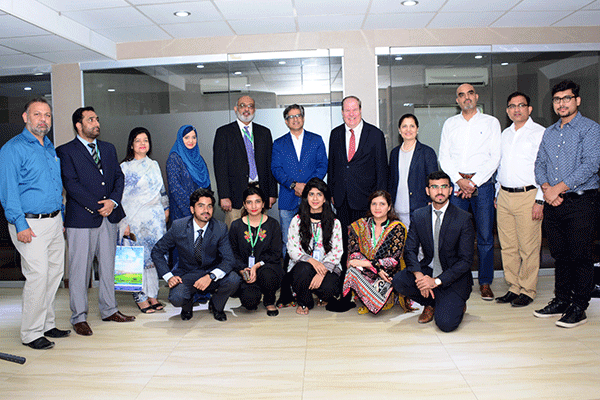 He held a meeting with Dr Hasan Sohaib Murad (Chairman, ILM Trust), Robert Wheeler III (Dean SBE), Khalid Naqi (Director Career Services) and his team. 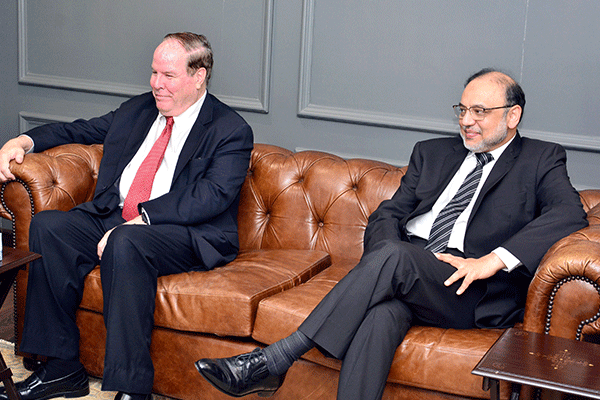 He also met Dr Muhammad Aslam, Rector UMT there. 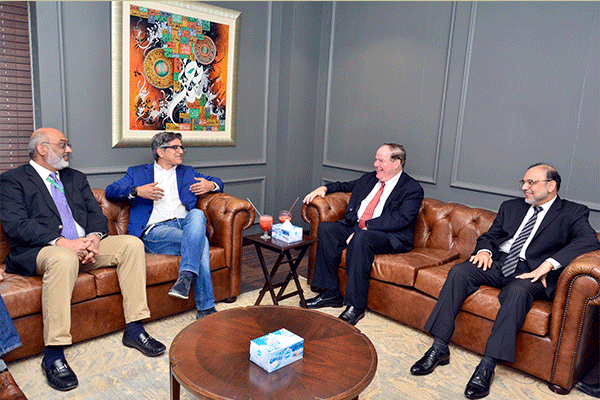 The team met deans, senior faculty members and heads of Management Offices. During the meeting, avenues for collaboration and strengthening of academia-industry linkages were discussed. OCS-ICDF (UMT) conducted a detailed introspective interview of Amir, whereby he shared his thoughts about the disruptive innovations and game changers in Telecom and IT industry in the era of industrial revolution 4.0. He thoroughly discussed the recent trends of Data Analytics, AI, Machine Learning, Virtual Reality and the emerging scope of MVNO in Telecom & IT industry. He also shed light on the challenges of industry and academia in driving and inspiring the Millenials in the digital age. In addition to this, he also expounded upon the importance of Ideation and industry-academia linkages to promote entrepreneurship among future leaders through an Innovation Eco-System. Amir Ibrahim has shown his interest in getting involved with Ideation program of OCS by its subsidiary ICBCC. In the same connection, JAZZ will send their Head of Incubation Centre to UMT to further this initiative. Director Corporate JAZZ will also visit UMT to finalize the things discussed during meeting. The visit was arranged through the efforts of the Office of Career Services (OCS). The JAZZ team also met Khalid Naqi, Head OCS, Aqeel Baloch, Manager Career Services and Industrial Relations, and his team.